Heshima means “dignity” in Swahili. Most children with special needs in Kenya live a life that is undignified and full of broken dreams. We at Heshima believe that Jesus Christ has a special purpose filled with dignity for children with special needs in Kenya. The Heshima Foundation believes that all human beings are made in the image of God, regardless of their outward appearance. Genesis 1:27 says "So God created man in His own image, in the image of God He created him, male and female, He created them." 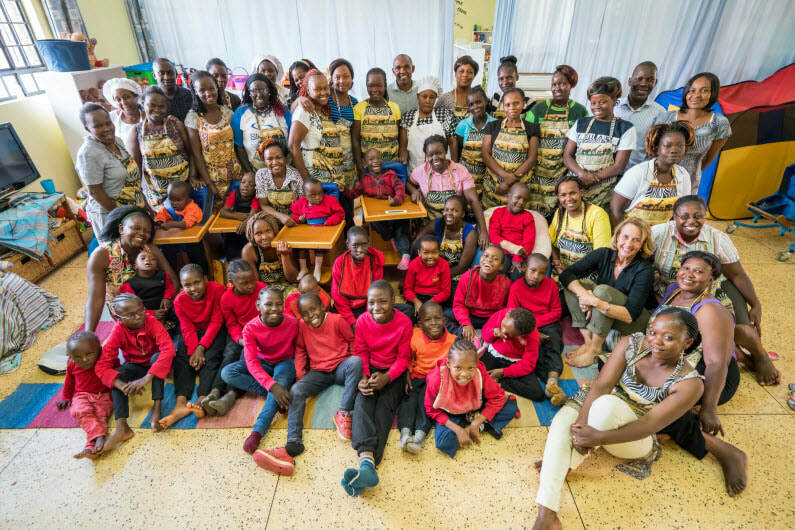 In Kenya, there are very few private institutions that provide services for children with special needs. The public school system offers nothing. What ends up happening to these children is that they either stay at home, often locked away due to public shame, or they end up attending public school without any help. Many of these children that attend the public schools are abused because thier disability is not understood. Heshima was started with the vision to meet the needs of these hidden children. Monday-Friday we provide breakfast and lunch, medical intervention, special education as well as various therapy; OT, PT, speech, sign language and horse riding. The program depends entirely on financial donations to pay for all these services. Heshima children, moms, staff and the founding director; Tracey Hagman . Click the link below to read more about the expansion at Heshima and the opportunity you can have to be part of the exciting things God has planned for Heshima in the upcoming years. Besides working with the children, Heshima also provides the mothers of each child enrolled at the center a job on campus.They work either as a cleaner, cook or teachers assistant for Heshima. We also have trained some of these ladies to make fabulous jewellery that sells at our shop Dignity Designs on campus. Our product is available on line and all income from sales, go toward paying the mothers a salary. The community surrounding Heshima is able to buy clean water from the Heshima bore hole that is on site. This micro-business is called "Maji Kwa Heshima" which means "Water for Dignity". Lastly we own and operate a construction company called Dignity Development Construction. This company is providing valuable jobs for the local community. Visitors are always welcome at Heshima Children's Center. Please contact us to schedule a visit. Follow the directions outlined below. 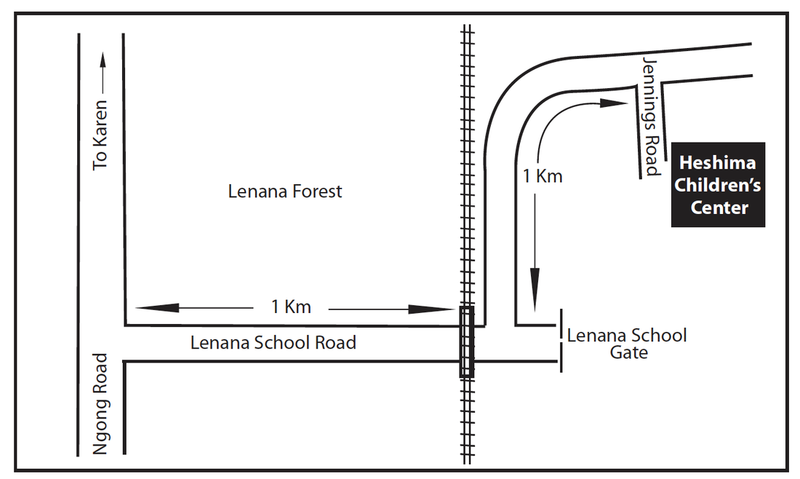 Note; drive under the railroad trestle that is painted "Lenana School" before turning left.